Lovely Chalets to rent Samoens area. Ski Chalets. 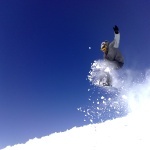 Ski & Snowboard holidays. Grand Massif. French Alps. Healthy living through winter sports activities! are all about living with a healthy ethos centred on Winter-sports, in the superb mountainside environment of the Grand Massif. includes the resorts of Sixt, Samoens, Morillon, Flaine and Les Carroz offering 265km of downhill, in addition to the cross country complex at Joux Plane and local trails. The ski area caters for all standards and the views are spectacular. To help you decide what type of lift pass you want, where to go, and information about ski & snowboard coaching/lessons, please follow this link." Within five minutes walk of some of the chalets/appartments you can be on the chair lift making your way up the Vagnys for the surrounding runs or on the debutante slopes of Sixt Fer a Cheval learning how to get hooked on ski or snowboard. Immediate views and ski areas include the Vagnys and the area adjacent to the end of the Cascades in Sixt which offers green, blue, red and black runs. 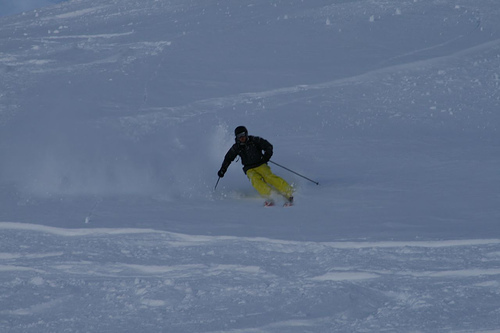 At an altitude range of 800 - 1,600m, this part of the Grand Massif provides 34km of ski runs with 7 ski lifts. 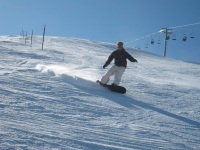 An ideal learning base for beginners on both ski and board allowing for easier progression to red runs later in the week. 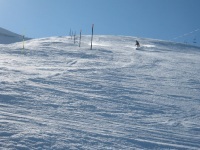 The red and black runs are both stimulating and challenging providing a beautiful setting in which to play a while. Sixt, Samoens and Morillon all provide ideal conditions for beginners on both skis and boards with lovely sunny flat slopes overlooked by bars and restuarants from where to watch members of your group whilst sipping a vin chaud. And if you are unsure about chair lifts, the gondolas are at hand to transport you home. 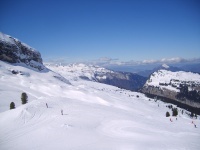 Of particular interest, in good conditions, is the descent down to Sixt from the Grand Platieres in Flaine via the Cascades ski run (1,700m of descent) which is a blue run of 14km (offering red and black options for half of the run) and passing the Lac du Gers. Les Cascades is a must for all ski and board enthusiasts - a not-to-be-missed experience. Why not make it a whole day's expedition if weather conditions permit. Click here to find out more about the "Unique Excursions" that are available. 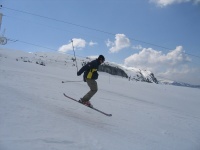 It is approximately a 10 minutes drive to the Grand Massif Express lift in Samoens, which then carries you up to the third biggest interconnected ski domain in the French Alps. In just 8 minutes you will reach the Grand Massif ski area, comprising Sixt, Samoens, Flaine, Morillon and Les Carroz, totalling 265km of piste (130 runs), 3 Jam Parks, Free Ride domain, 77 ski lifts and 128 snow machines - one of the biggest European Ski areas. As well as the GME (Grand Massif Express)there are two further gondolas available - one from Vercland and one from Morillon. From Sixt there is a free ski shuttle system to The Grand Massif Express (GME) in Samoens, which then speeds you on your way up the mountainside to begin your day. The Ski Bus links Sixt, Samoens, Vercland and Morillon so you can always be sure of getting home. Timetables are available to you in the Chalets. 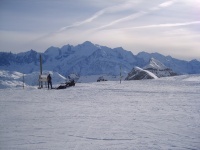 Exchange between areas - Grand Massif Ski passes for 6 days and more entitle the holder to a day's skiing in the Portes du Soleil (Morzine/Avoriaz) during the validity of the pass. Access to the Portes du Soleil, via Les Gets, is only a 30 minute drive away. Chamonix, Mont Blanc is just under an hour away to the south and both areas provide alternatives when ski/board conditions merit or for excursions and safaris which can be arranged at an additional cost. Crosscountry - Sixt and Joux Plane.